Don't worry, darling. You didn't burn the beer. 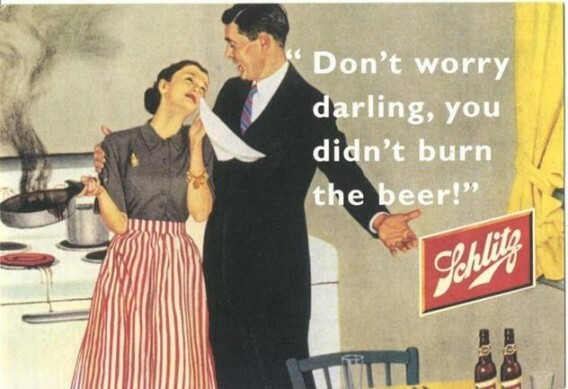 Old Schlitz beer ad. Thanks to Randall for this one. An old Schlitz beer advertisement. Humour from a bygone era.